The Mini USB Stereo Speaker is easy to attach and easy to remove. You can just simply mount the speaker to your laptop or notebook. 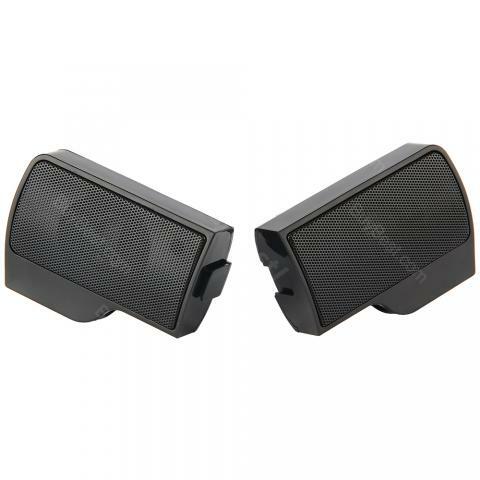 The Mini USB Stereo Speaker is easy to attach and easy to remove. You can just simply mount the speaker to your laptop or notebook. No software or external power supply is needed. • Speaker is easy to attach, easy to remove, easy to take with you. • Simply mount the speaker to any laptop or notebook. • The speaker stays securely in place when you carry your laptop from room to room. • Music sounds its full and balanced best. • Volume adjustment gives you control of your music. • Plug a single USB cord into your laptop and you're good to go. • No software or external power supply needed.